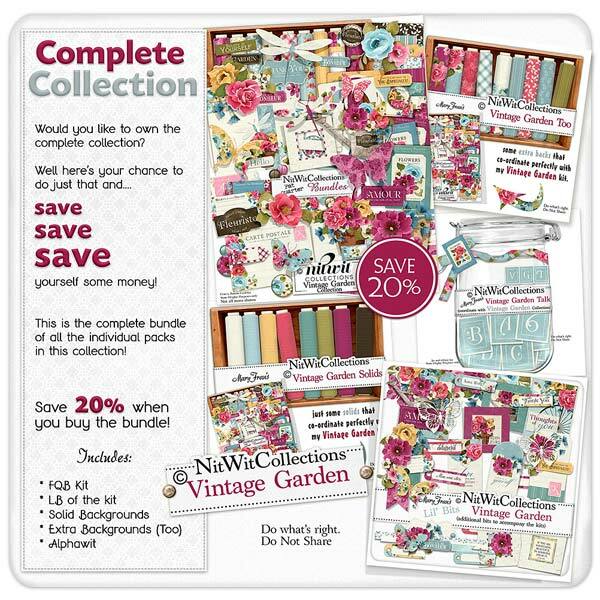 "Vintage Garden" Collection is a colourful, sophisticated digital kit that gives you creative options for so many occasions! Upon opening this kit you will see the eye catching floral elements that pair so well with the butterflies and dragonfly that it may take you a bit to scroll down to the vintage flower pot, watering can and crackle finished frames. Now explore the seed packets, tickets and elaborately designed labels and background papers before really deciding on your creative inspiration as we know you will have many, many ways to begin. Stroll through this luscious digital kit and enjoy times past!